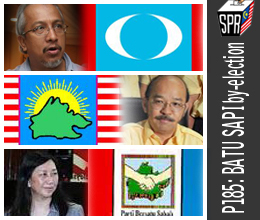 All the Political Parties in Sarawak be it BN or Pakatan are ready to do Battle in the 31 Parliamentary Constituencies. In the urban areas SUPP will likely face up with their nemesis and the battlecry will be between Transform or Ubah. In our previous article we wrote:-Sarawak BN a Time Bomb which is actually telling a Reminder to us all that we must not be COMPLACENT AND DO NOTHING. If we leave all the dirty linens hanging on the verandahs it will not be cleaned. Cleansing from within is the only alternative the State BN has left to ensure that it stays in power for the new term. We have heard the Pakatan leaders drumming up support and giving fiery speeches but their main pointers remains in all ceramahs “ARE YOU READY FOR PUTRAJAYA?” Are you ALL with us ? ARE YOU? ARE YOU? We can say we want to stop them from getting there but when our party boys are still so engrossed in infighting and not in togetherness the opportunity presents itself for the enemy to attack us. It does send a shiver down the spines when the clapping amongst the people who are at their ceramahs do come without fear or careas they loudly acclaim most of the points. Of course the key is still the Malay dominated UMNO areas where UMNO needs to ensure they maintain the stranglehold. Sarawak and Sabah as some of the alternative news media is potraying is very much for grabs. The infighting have reached such a feverish high that incurable is not the word. People who are jeorpadising the transformation processes needs to be shifted away from the main operational machinery works of the party involved in the parliamentary seats. This is REAL and if PM Najib still thinks he has it easy he better be prepared for the worse. His winnable candidates needs to work extra hard and get down to the nitty gritty works of mainatining the momentum of ensuring Putrajaya is not won by defections or trojan horses who seeks to see an end of BN rule. BN needs to really TRANFORM or it will be overtaken by the Cries of Change from the people power which is very significant now. The opposition are all cashing in and if parliament is not dissolved soon more dirt will be BLOWN UP and the numbers in ceramahs up and down the country will make even the staunches BN member grasping for air. The game plan changes when the results are announced on the night of polling and PM Najib must take into account not only the strategies which is being used to tackle the mindset off the voters but how the party machineries are moving. Even at one of our courtesy visit to a Minister he said,‘We must not Syiok Sendiri. We must Transform and there musts be continuity in our programmes to reachout and touch the nerve points of the voters in question. WE need to go to the lists of voters in the constituency and look at each constituency,evaluate the voters needs ,wants and ensure they vote for your MAN OR WOMAN. That counts and PERCEPTION will still play a very important role in any elections. DISREGARD PERCEPTION YOU ARE FINISHED HE CONCLUDED. PM Najib needs all the 222 BN candidates to sing the same song with him and also to ensure that Anwars rendition of Its’ Now or Never will stay as just another failed effort in this GE13. BN MUSTS TRANSFORM AND LET THE INFIGHTING AFTER THE GE..
As the nation is gripped in the BERSIH mania, in Sabah BN is embarking on something bolder which is the increase of electricity tariff. Bugi Wijaya of audie61 writes from Sabah and we understand that on the day of BERSIH, PATROIT and PERKASA rally on the 09.07.2011 (Saturday), an announcement will be made that the state government has agreed to the increase of electricity tariff by the Sabah Electricity Sdn Bhd (SESB) to reduce the dependency on Federal Government subsidies in the tariff. Bugi Wijaya reliability learned that a last minute dialogue session was called by the Chief Minister Datuk Seri Musa Aman with the captains of the various industries on this matter today. However, the dialogue session turn out to be more of a pre-announcement of the tariff increased to those present. It was believed despite being told that the increase is not a wise move business strategically and politically, the Chief Minister replied that the increase was inevitable in view of the ever increasing cost of energy productions. To Musa’s credit, the last increase of tariff was about 25 years ago. A quick survey on the ground shows that a lot of people believe that the state government would not allow an increase at such economical climate at the moment. A check with other BN components parties revealed some of them were not consulted on this matter. This was the unilateral decision of the state government as such matter are the perogative of the government and not component parties. One leader remarked with the inconsistent supply in Sandakan that has seen blackout a frequent way of life for the local people, it would be interesting whether they can defend their strong hold seats. Maybe this is the sign of weakness of the opposition in Sabah that the government is allow to do things at their whims and fancy. Thus would this so call announcement be seized upon by the opposition or would it be buried among the BERSIH news or worse case scenario for BN, that is the start of the lost of BN safe deposit? We will see soon enough. Meanwhile, our hats off for the man in charge, for better or worse the CM’s head is on the chopping block. Could we be just as critical or even worse than Malaysiakini’s titled,”LMAOs aplenty during online chat with Khairy” Some say when its protecting our turf we will go all out and leave no stones unturned. There are still a lot of people who are yet to taste the ugliness and unfortunate circumstances which they have put many of us through. We have even wrote it once in our previous article and we do not want to repeat ourselves. Let’s talk about Khairy and how in the last couple of months he has really put himself in the SPOTLIGHT for the wrong reasons especially with leaders from Sarawak and Sabah. He is creating some tremors for both these States and he must be the mosts “likeable..excuse me” person at the moment. 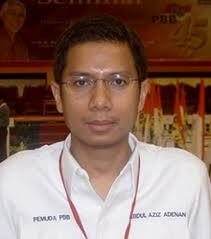 Aziz Adenan PBB Youth Information Chief could not justs be firing blanks could he? He has already issued a Press Statement very much earlier that said,”We are disappointed and hurt by the comment of Khairy Jamaluddin in Tweeter about Barisan National election performance in Sarawak Election 2011.” Of course,Khairy avoided the subject and did not respond and it has led to an AVALANCHE of public statements from various Sarawak leaders which are attacking Khairy. Now Salleh Keruak State Assembly speaker and Sabah UMNO deputy liason chief did not mince his words when he said,”There’s no cold war in Sabah UMNO.Sabah UMNO is stable with party leaders and members united under the leadership of chief minister and state liason chief Musa Aman. Salleh went on to say such a remark showed that certain people did not understand Sabah politics. SHIFTING OF BLAME TO SOMEONE ELSE..
You make your own judgements…. 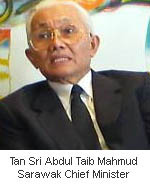 Khairy, what do you think about Taib Mahmut? I think we should honour our Sarawak election promises esp leadership transition. This came from PM, not me. In politics there has always been “The Truth of Inconveniece’ There are many things which should not be hung for public viewing and in mosts cases it will be swept and covered literally. In the case of Sarawak and Sabah CM in the past few months the people who both of them trusted are beginning to look elsewhere and has begun to show their true colours. They had FAITH in the very institution they believe in and for mosts of them “survival’ means to disclose the acts of their present paymasters and maybe they might just even escape being strunged up with a noose on their necks.These are mostly for their SELFISH ENDS or a big paycheck. The dirty world of politics does not take any prisoners. Most legislators would have to stand out and be counted. 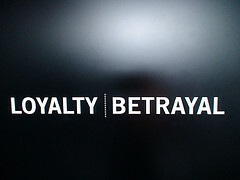 There is also NO SUCH THING AS BEING LOYAL. It doesn’t take much for any one to figure how the opposition or the MACC get hold of the official or secret documents. Most of the people involved would just cut FLAK in order to live to fight another day. The present Chief Minister of Sarawak and Sabah are facing their toughest battle but they are both very useful and commands respect due to the present political scenario. The ones who has so far been seen to betray the loyalty of both of them will soon be FLUSHED OUT. The detractors will know that there is only one hiding place for them to feel safe. Figure this one out yourself. Until both of the CMs get a new mandate from the people of Sarawak and Sabah with overwhelming majority and confidence the act of betrayal will still rear its ugly head. BN and Pakatan leaders are watching both these states with eagles eyes and ready to pounce at the slightest opportunity which presents itself. LDP Sabah now is beginning to show its colours against Musa while certain factions within SUPP are not too happy with Taib. The faith shown by PMNajib to these two under attack CMs has been very clear. He will not betray both of them for the benefit of the some opportunists within the coalition itself. The BN and in fact Pakatan are playing the same tune that they will stick and swim with the loyalists instead of those who play to the tune and sound of “A Betrayer’ The undercovers also have their shelflife and those who show their colours especially with “Loyalty Brand ” will be the toss of the people and the parties concerned. So who amongst the ones in Sarawak and Sabah will earn the Tag of a loyalists. So who will be the betrayer. ASK YOUSELF THIS.. WHAT ARE YOU….??? It seems that both the East Malaysia Chief Ministers are in the news for the wrong reasons. Taib with the disclosure of his massive wealth staked overseas while Musa’s powerful ‘ Untouchables ” are being hauled up for investigation by the MACC. A political watcher said to audie61 the answer is very simple and it lies here . It has ruffled the political equilibrium of the two states and mosts politicians aligned to the ruling party are all tight lipped.Mosts of them are avoiding being dragged into the conversation as they might just be implicated as being a part-player. The two states of 31 and 25 Parliamentary seats are considered fixed deposits by the BN Government. Any major shakeup and unwanted publicity should not be interfered but left to the States to handle. The BN Government knows that Taib and Musa has delivered when called upon. The opposition players are trying to rattle the PM into submission of removing them. The opposition will use the easiest communication tool ,”spread malicious and unwanted propaganda” and leave the Top BN hierarchy with no choice but to find a scapegoat or these two leaders walk. If these two leaders are removed the path will be cleared by the opposition to muster an all out attack on BN. Najib needs both these two calibre leaders to see him through a fresh mandate in the Next General elections.